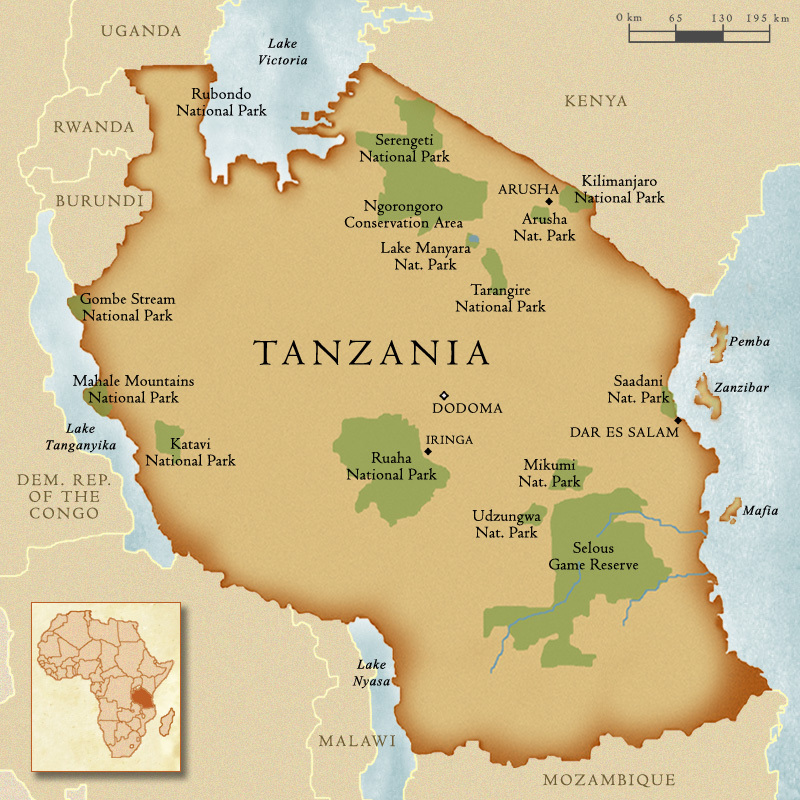 Tanzania is located in the African Great Lakes Region of East Africa, boasting a very diverse population of approximately 44.9 million people. There are 16 national parks in Tanzania and a large number of other game and forest reserves, with the most well known being the Ngorongoro Conservation Area and the Serengeti National Park! Electricity: Tanzania uses the same 3 prong plug as in the United Kingdom. An adaptor is recommended to charge cell phones, laptops or other electronic devices and can be purchased in country. There are a few international airports in Tanzania. Julius K. Nyerere International Airport is located in Dar es Salaam, the biggest city in the country. The other international airports are Kilimanjaro International airport located between the popular tourism cities of Arusha and Moshi and also Abeid Amani Karume International Airport on the island of Zanzibar. Smaller airstrips are found around the country, including the National Park areas, and many domestic airlines service these areas. Coach buses are also available though the travel time can be quite long. If interested in renting a car during your stay, remember that in Tanzania we drive on the left hand side of the road and a 4×4 vehicle is often required. Most visitors will require a tourist visa to visit Tanzania. These can be obtained before traveling from the consulate/embassy for Tanzania in your country of residence. Tourist visas can also be obtained at the border entry points as well as the international airports. The fee is charged in USD and varies for different citizenships but is usually either $50 or $100. Change is often not available so it is good to have the exact amount. Visitors must ensure that their passport is valid for 6 months beyond their stay.